Private schools are not administered by the local, state, or federal government, and they receive no direct government funding. Private colleges generally have smaller class sizes than their public counterparts, enabling closer interaction with classmates and professors. Many private schools do charge high tuition, but students with strong academic records or significant needs can access financial assistance programs, including grants and merit scholarships. In addition, private schools are often prestigious, providing students an advantage in the job market after graduation. Ohio is home to about 75 private schools with accredited nursing programs. They cover a broad range of nursing professions and career paths. Case Western Reserve University, one of the largest private colleges in Ohio, offers bachelor’s, master’s and doctoral degrees in registered nursing (RN). Xavier University in Cincinnati offers several distinct master’s degree specializations including nursing administration, pediatric nursing, nursing education and clinical nurse leader. Ohio also has a robust network of smaller private colleges that offer entry-level nursing programs, including certificates in licensed practical nursing (LPN) and associate’s degrees in registered nursing. 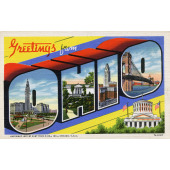 According to the Bureau of Labor Statistics, Ohio employs almost 125,000 RNs with a median annual salary of $60,530. Top-performing registered nurses, often those with a bachelor’s degree, can earn $70,000 or more per year. The state also has a network of almost 40,000 LPNs earning about $40,000 annually. Ohio nursing graduates have a plethora of employment options, including large healthcare providers like the Department of Veterans Affairs, Genesis Healthcare, and VITAS. To help Ohio’s aspiring nurses choose a well-suited program, we have provided below a comprehensive list of the state’s private nursing schools and programs.